A month ago, I described the DSB’s preparations for what turned out to be a very successful industry load test on 6th – 7th April, the results of which we published last week. Based on that success, we promoted the new high performance code base into production on 22 April. 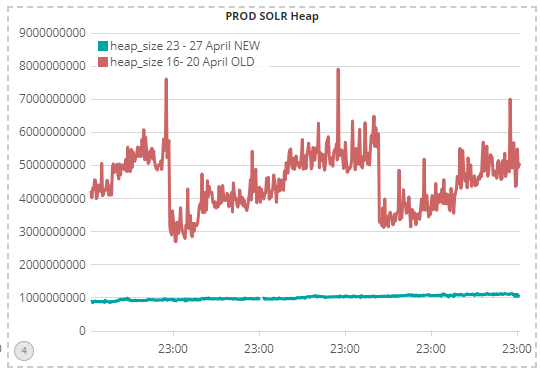 In this blog, I will examine the performance of the system in Production, before and after the upgrade, to understand the impact of the change to the system. Regular followers of the DSB will know that there were three outages of a total of 132 minutes across the first 6 months of the DSB’s operation (incidentally, all this data and more is available on the DSB’s operational status page). 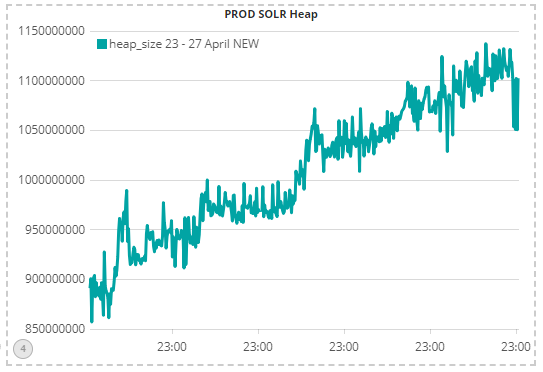 The root cause analysis of each was Garbage Collection (GC) inthe DSB’s open-source SOLR component as described at the bottom of the operational status page. So let’s see how much improvement has occurred as a result of the codebase upgrade. 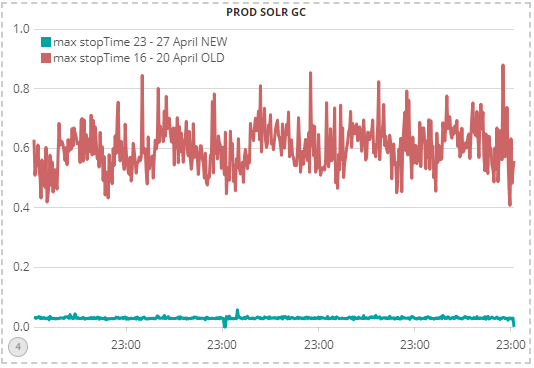 This chart shows that the production environment experienced a dramatic 10x improvement in GC pause times as a result of the new version, from approx 0.6 seconds down to approx 0.06 seconds over the course of a week. Additionally, GC ‘jitter’ has also substantially reduced, providing greater consistency of performance to user queries. Incidently, the shape of the memory growth in the above chart is typical of all Java applications: the memory ‘heap’ grows until garbage collection kicks in and frees up some old ‘dead’ objects (aka ‘garbage’) thereby reducing the heap size. 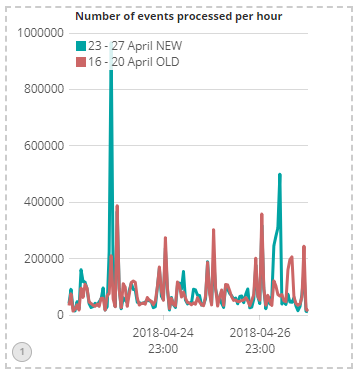 Whilst it looks as if the new codebase does not have the same memory profile, in actual fact it does, and it can just about be discerned in the above chart, showing an ever so slight increase in heap size throughout the week. A technical note for the sharp-eyed amongst you: the above chart is the latency within the core and not end-to-end latency. 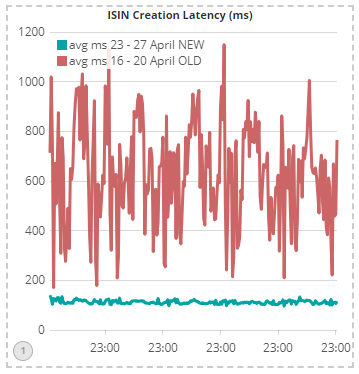 It is also average latency not median or 99 percentile. Firstly, if you or your firm find this kind of technology-related information useful and you wish to provide input into the DSB’s technology strategy, then you have the opportunity to participate in the DSB Technology Advisory Committee by emailing the secretariat@anna-dsb.com. This opportunity will close once the committee is formed in May, so please do contact us soon. With the technology platform of the DSB now in a state of high-performance tune, our focus will move to product and usability enhancements as well as process improvements to continue to increase our transparency and engagement with industry. Sassan Danesh, Management Team, DSB.